Incredible expedition cruise to Norway, the Faroe Islands, and Iceland. This small ship cruise is packed with adventure and that extra-something for the more adventurous traveler. If you're looking for something that's more than your everyday cruise, this is the one for you. This unique cruise with only 126 passengers makes only one sailing in 2020. Don't wait to book your reservation. Escorted tour opportunities to see the 2019 Chelsea Flower Show in London, England. Venice is beautiful all year long and this unique opportunity ramps up the elegance with style and grace. 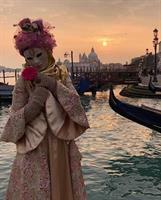 Carnival in Venice is a special twist on a must-see destination. For two weeks in February this amazing experience is on display for the whole world to see. Now is the time to plan your trip and reserve rooms in prime locations in the heart of this incredible city on the water. See the pageantry that is Carnavale in Venice Italy. 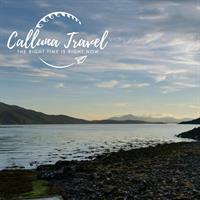 See the heart of Scotland in this unique and indulgent cruise through parts of Scotland that are laregely ignored by the big bus tours. 3 DAYS FREE! * Put our temps to the test! Receive 3 days free on a 40 hour order *One use per signed customer contract. Risk Evaluation may be required. See the NC500 of Scotland. This escorted tour on a luxury motorcoach includes most meals, stays in Glasgow, Inverness, and Edinburgh. August dates include the world famous Military Tattoo at Edinburgh Castle. 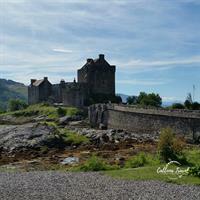 See the North Coast 500 scenic drive on this wonderul escorted tour.